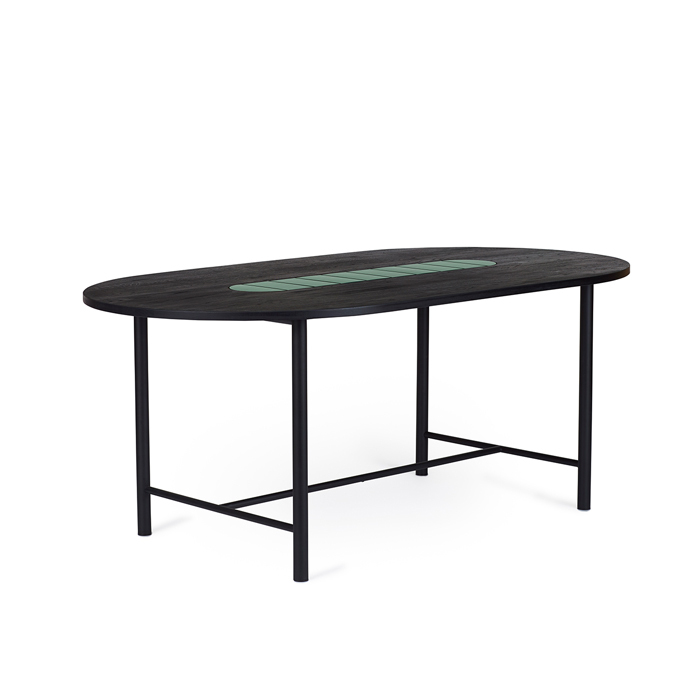 Elegant dining table with a remarkable wooden top with tile inlay and a light metal frame. This beautiful dining table is the natural and cosy gathering point for family and friends and thanks to its rounded shape, you will always have room for one more guest. The design is inspired by the traditional tile-topped table and has been brought into the present with a focus on quality and craftsmanship. Style and functionality go hand in hand as you can place your teapot or coffee plunger on the row of tiles at the centre of the table. The dining table can be used together with the bench from the same range to accommodate more people and with dining chairs – or perhaps both. Be My Guest comes in two sizes and is available in oak for a warm and unique look. Choose between various finishes and tiles in a range of beautiful colours from the Warm Nordic universe. 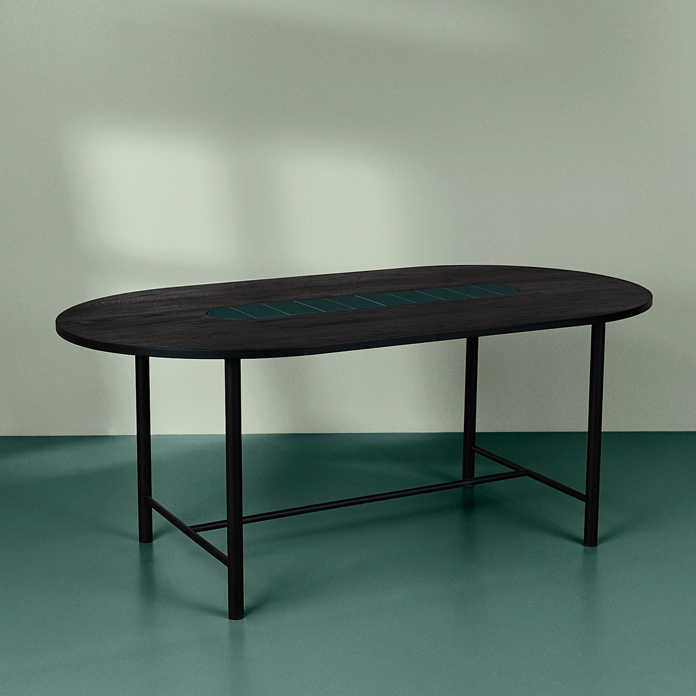 This elegant table is part of the Be My Guest range, which is a modern interpretation of the tile-topped table, which was popular in the 1960s. 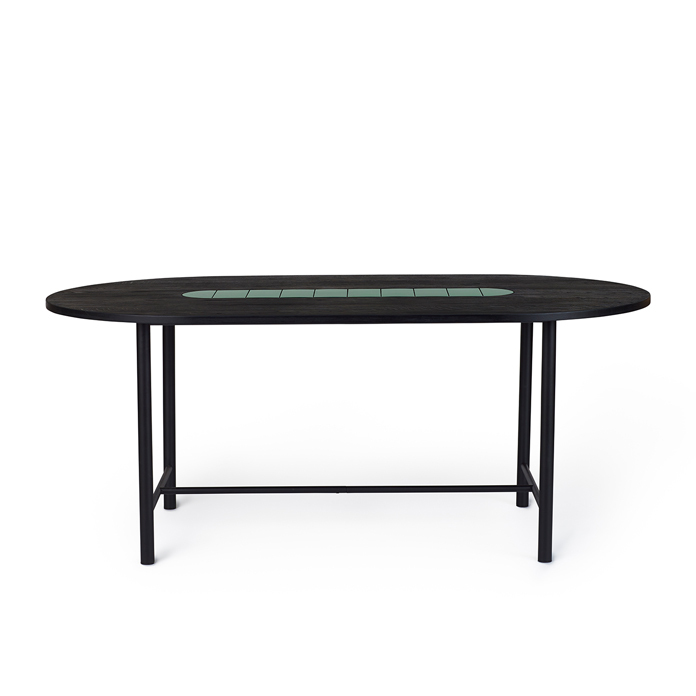 Just as then, the table invites you to gather around it; only now, it has been added a new elegance with its rounded corners and a single row of tiles that make the table blend effortlessly into any contemporary interior design. This range by Charlotte Høncke also includes a bench with a wicker seat.